Measures the value of the bar width set for the primary Bars object on the chart. Note: This property value is not stated in pixels. 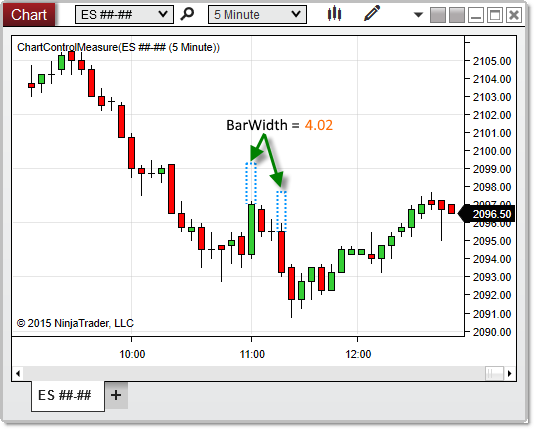 To obtain the pixel-width of bars on the chart, use GetBarPaintWidth() instead. A double representing the value of the bar width. Based on the image below, BarWidth reveals that the bars on the chart are 4.02 pixels wide.